Nick Donovan gave up his Black Ops life for a more satisfying role with AEGIS: an elite team of ex-military men working under the radar of most governments, helping people with nowhere else to turn. Unfortunately, just saying you’ve left the life of an operative behind doesn’t mean your enemies won’t keep coming after you . . . or your family. When a drug cartel decides to use his sister-in-law as a hostage to bend Nick to their will, they wind up abducting the housesitter instead. 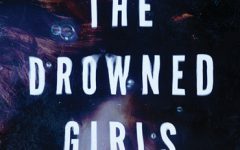 One minute Jennifer Grayson is minding her best friend’s house, and the next she’s abducted to a foreign brothel. Jennifer is planning her escape when her first “customer” arrives. Nick, the man who broke her heart years ago, has come to her rescue. Can Nick keep the woman he loves safe against an enemy with a personal vendetta? 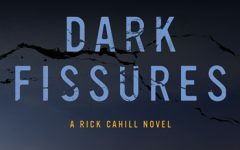 THE BIG THRILL contributing editor Cathy Clamp sat down with the author at the Romance Writers of America conference to ask her more about her intriguing ‘mistaken identity’ thriller. AEGIS is an interesting band of ex-military working in the private sector. What gave you the idea for the group? That’s actually an interesting story. My son has Asperger’s Syndrome and has had a series of tutors to help him with his schooling. One of his tutors was ex-DEA who worked for a private security company before starting to work with special needs kids. Talking about his past experiences when he visited our home was fascinating and I started doing research on the concept. Research is always a strong element in thrillers. You use foreign locales in both this book and the first book in the series, HARD TARGET. Did you visit the areas to experience those little details that make the book read so authentic? Not yet, but I hope to someday. I watched a ton of videos and read blogs from ex-pats who lived in the region to get some of the finer details down. Travel videos tend to show the highlights of a town, but not the mundane things. I wanted to put in that sort of detail because it’s what I like to see when I read books. I get lost in research. It’s one of my favorite parts of writing. Mine too! What was the most interesting thing you discovered in your research, whether or not it made it into the book? Urban gondolas! I didn’t realize it’s becoming a fairly common mode of transportation in large cities in Africa. I’m fascinated with them. I haven’t gotten to use it in one of the books yet, but I’m really hoping to include it in a future story. How many more books are there in the series? At least two more, I think. AEGIS isn’t a large group of men but there are always options for expansion. We’ll have to see whether fans want more stories! Will the next book have more exotic settings? Actually, I’m moving the action to America for the next book, and haven’t decided on the setting for the last story. We’ll have to see where the muse decides to take me. Since we’re winding up summer and heading into fall, if your characters had the chance to take a couple of weeks off to go on vacation, where would they go? Interesting question. Nick would have to be near the water. He’s a former SEAL, after all. I think diving or surfing. And Jennifer is an archaeologist. She’d be on a dig somewhere, covered in dust with cramped fingers around a camel-hair brush. Opposites attract! Lots of places. My website, and I’m on Facebook and Twitter at: @KayThomasWrites. Readers can also sign up for my newsletter, Bullet Points for lots of goodies and news about upcoming books. Thanks so much for chatting with THE BIG THRILL. It sounds like a fascinating read! Award-winning author Kay Thomas didn’t grow up burning to be a writer. Until fourth grade she wasn’t even much of a reader. That’s when her sister read THE BLACK STALLION aloud to her. For hours Kay was enthralled—shipwrecked and riding an untamed horse across desert sand. Then tragedy struck. Her sister lost her voice. But Kay couldn’t wait to hear what happened in the story—so she picked up that book, finished reading it herself, and went in search of more adventures at the local library. Today she lives in Dallas with her husband, their two children, and a shockingly spoiled Boston terrier.